Promote4you: Qwikr.me ... One Code ... One Scan ... Endless possibilities! Qwikr.me ... One Code ... One Scan ... Endless possibilities! Qwikr.me, a photo by totemtoeren on Flickr. Why Do I Need QwikR? The internet is huge. You aren't. How can you let your friends and colleagues find you, in one place, with all your social information organized and easy to share? Well, before QwikR.me, you couldn't. You would need a business card the size of a notebook. Now all you need is one tiny little code. Isn't technology great? One Code. One Scan. Endless possibilities. One of the biggest challenges with the ever expanding web is its sheer size. There are so many social networks, websites, forums, music sites - and all of them are sprinkled throught the internet. You may have a friend on Facebook that doesn't know how to find you on Twitter. Or maybe there is a great blog you love to read, but you don't know if the person is also playing on Empire Avenue or Foursquare. Some people belong to over 20 different social networking sites. How do you share that kind of information. Pass out a cookie? Well, actually, yes! You could do as Tiffany & Co. did and pass out treats. But its not the blue icing that makes them so enticing. Rather its the QR code on top that is going to bring their customers back. This same concept can work for YOU too. IN AN EMERGENCY: Your StikR can be scanned by any first responder with a smartphone. No cell phone reception, no problem. The code can be read as a pop-up window with only your most vital information such as contact info, bloody type, allergies, medications and know medical issues. On party invitations to give directions, to RSVP or pull up a wish list. On thank you cards linking to pictures from the party or event. Even pictures of you using the amazing gift you received. There are literally hundreds of different uses ranging from fun to life-saving. QR codes can even help you retrieve a lost pet...or family member with Alzheimer's, Autism or any other condition where a person is unable to speak for himself. Will they help you gain or retain customers? Millions of people scan QR codes every month. Many of them are your customers. For those customers that do not, they will certainly appreciate your technical knowledge. Many of those same customers will certainly be curious, possibly opening the door a friendly dialogue and potential sale. For those of your customers that do use QR codes, they will be impressed that you are in the know and will absolutely be more receptive to your marketing, especially social media, campaigns. 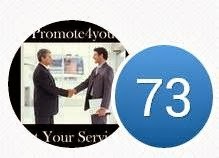 Easily direct your customers to your Facebook Page, your Twitter account, LinkedIn Profile, YouTube and more. How can your business use a QR code? QR codes can be used in a number of different way, for small and large businesses alike. Foremost, you can add one to your business card so your contact details can be easily saved on a cell phone. You can place QR codes on real estate signs and fliers, and next to product offerings on your web site. Let your customers easily share all the product details, a contact number and the link to the product page. Add them to all your print advertising: Posters, direct mailers, posters, envelopes and letterhead. You can also use QR codes that will scan to a discount coupon, one of your social media sites, a drawing or sweepstakes entry, or to be easily added to your mailing list. The uses for QR codes are practically limitless. Here are some interesting facts about QR Codes that you can memorize, ramble off at meetings and sound really knowledgeable! QR codes can be made for free - by you! Use our QR code generator and give it a whirl. They are easy to create and there is almost no investment involved!